Things will never go wrong with pastels/florals/polkadots. And cos this client love this set with everything on. 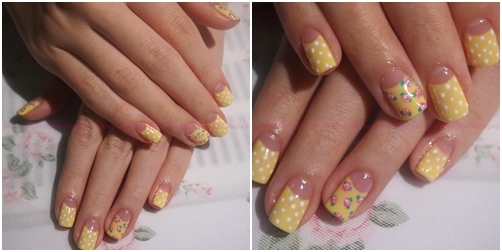 we decided on floral on ring & thumb and bal 3 nails in polkadots.